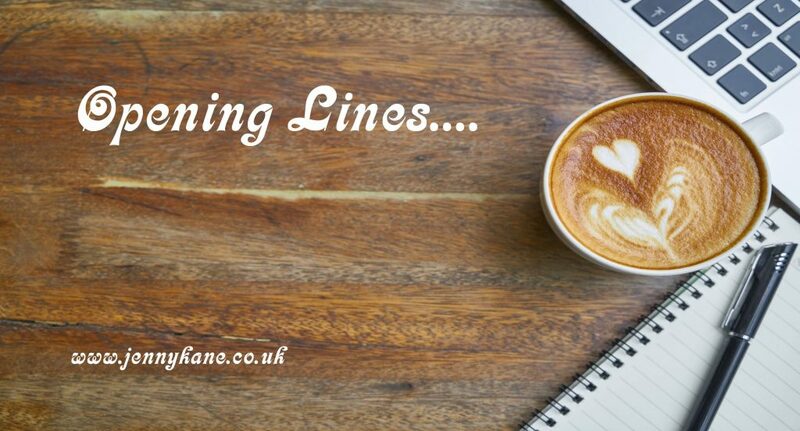 This week’s Opening Lines come from fellow Devon based author, James D Mortain. It’s a pleasure to welcome James back to my blog to share the first 500 words from the very start of his acclaimed trilogy. I am very grateful to have been invited back onto Jenny’s blog, this time with ‘Opening Lines’ to the first instalment of the Detective Deans Trilogy, STORM LOG-0505. What made someone the ideal victim? he speculated. Were they created that way, right from the start? Was it a case of nature or nurture? On the other hand, was it all down to luck, perhaps? Maybe they were simply in the wrong place at the wrong time. He chuckled. There was no such thing as the wrong time. Everyone had a time, regardless of how it may play out. He stared down intently at the washed-out family snap as if it was the first time he had seen it. The truth was, he had studied this photo many times before and with equal fascination. He was alone. There was no noise from the TV or radio, only the sound of his own trancelike, metronomic breathing, eyes refusing to deviate from the photo as he gazed down at Mum, Dad and himself. To anyone else it would be a classic family photograph: two children, a boy of about six and a girl of about eight, wearing woolly hats and scarves, frolicking in the snow with their parents. For him, though, it was more. It had always meant much more. Back, then, to the question. He smiled, and closed the two halves of the black faux-leather photo album, carefully placed it into the box and slotted it in the correct position, the right way around, between number 3 and number 5. He snorted joss stick-scented air through his flared nostrils and cast his mind back. The first was easy – he had been left with little alternative. The second fell somewhere between curiosity and education. And what of the next? He had been counting down her final days since they first met. She was… ideal, but she was not going to be alone. The one after her, he would leave to fate, and for the sporting hell of it. Carl considered himself fortunate to be with Amy. She was widely regarded as the university babe, especially amongst his mates. He would just smile, go along with what they would say, join in the banter so as not to lose face. If only they knew. She was stunning, and fun – too stunning, and much too fun. He wished she were less popular, especially with the blokes. He despised the heads that would turn, the eyes that would undress her, the endless attempts to lure her. He carried a snail’s shell of doubt and suspicion. They had been together almost a year, and each month, each week and each day was increasingly destroying who he used to be. Who he should be. His last conversation with Amy was on Friday afternoon in the university’s east car park. ‘So, you’re off to Devon again tonight,’ he said glumly. ‘God, what’s wrong with you?’ Amy nipped. Detective Andrew Deans’ life was unremarkable, until the day he was handed his latest case. Now, a psychic medium challenges everything Deans has been trained to believe, as the search for a missing student becomes the hunt for a savage murderer. Forced to leave his wife at a time when she needs him most, Deans travels to a small coastal town where he is exposed to a supernatural dimension he could never have imagined existed. Closing in on a unique killer, Deans must confront an even greater challenge – he can hear the voice of his dead victim. Facing his own ‘spiritual awakening’, Deans’ life is in turmoil, but destiny has dealt its hand and Deans has placed those he loves most in ultimate peril. Book 2 in the trilogy, DEAD BY DESIGN, is also available in paperback, on Amazon Kindle and free on Kindle Unlimited, and the final part of the Detective Deans Trilogy, THE BONE HILL, is due for release early 2019. 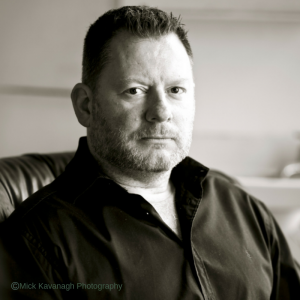 A former CID Detective with the Avon and Somerset Constabulary, writing came as a something of a spontaneous act, when in 2012, following a chance encounter in a Bath bar with SAS veteran, TV personality and author, Chris Ryan, the spark of creativity ignited. I wanted to create a main protagonist in Detective ‘Deano’ Deans whose strengths and vulnerabilities were in equal measure, but frequently at odds. Using real-life experience within a busy CID department to give gripping authenticity, the Detective Deans Trilogy is an atmospheric, powerful, riveting and often emotional story of life, love, loss, and a touch of the miraculous. 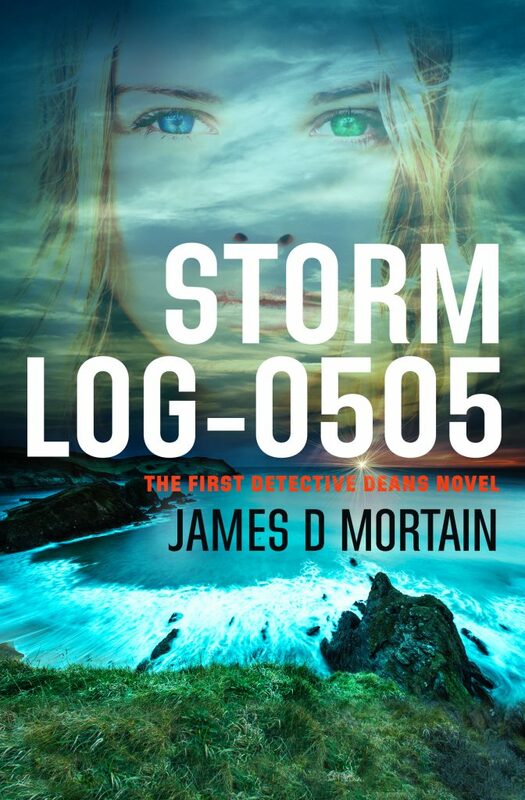 With Chris Ryan’s words, “write what you know” ringing in my ears, STORM LOG-0505 is a true-to-life crime thriller with a pinch of paranormal spice, set between the city of Bath and the North Devon coastline. Visit my social media pages and check out my website for the latest news and a chance to read all future books for free! Thanks for a great blog James.